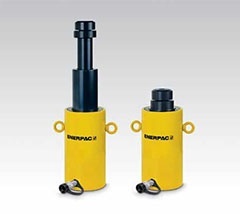 Enerpac introduces a new series of Multi-stage, Telescopic hydraulic cylinders. Nitrocarburized surface treatment inside and out provides unparalleled sideload resistance and corrosion protection for safe use in the harshest conditions. The longer stroke length of Telescopic cylinders will save time and simplify projects by moving a load a greater distance and eliminating the use of temporary cribbing.